This is the tug side of the SHSLS 7-Point Docking Interface. 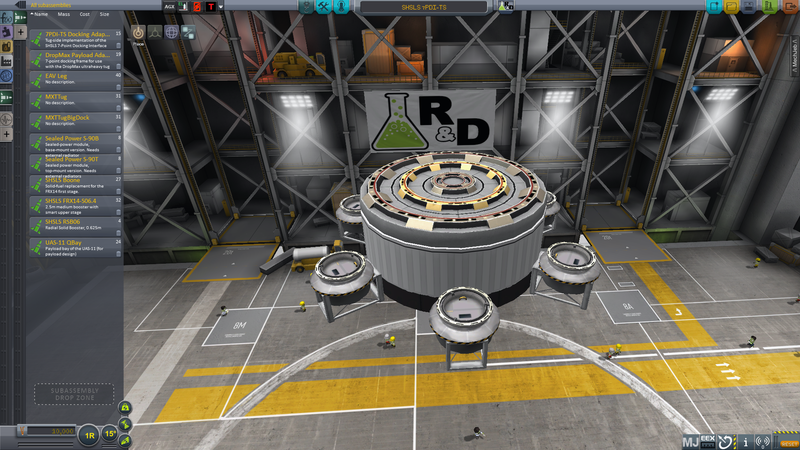 Now you can easily build your own tugs for the SHSLS 7PDI payload system without needing to worry about alignment issues (not actually tested yet, but I spent about an hour lining the radial ports up in the VAB). A mod subassembly called 7PDI-TS Docking Adapter. 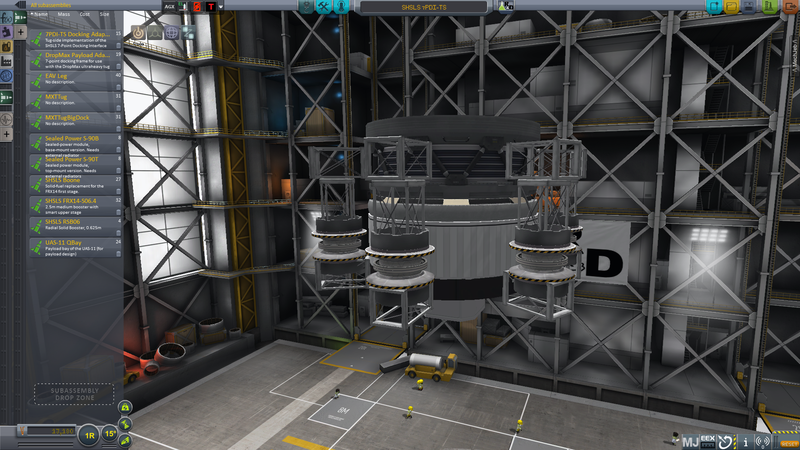 Built in KSP version 0.90.0 with 15 of the finest parts, its root part is FASAApolloIU.